Extended Reality on blockchain, GoFind XR is the first decentralized social media platform to make it this far. The Internet is never going to be the same again, there is a new Blockchain technology which is a combination of Social media and an Extended Reality (XR) platform. GoFind XR is constructing a new layer of the Internet. It will be used to host a wide variety of digital assets. Examples of these are XR modules, data frameworks and apps. These platforms will include shopping, navigation, games, social media, and entertainment applications. There will be various ways of earning on this blockchain. For starters, users will get an opportunity to invest in their token through an ICO. Most of our current information is stored in the 2D Web of the Internet. GoFind took a big step. There is information all around us in the near-field of 3D space, Extended reality is a new reality of the internet that will make it possible to extract information from our environment using our digital devices. GoFind is building a new kind of Internet – ‘XR Web’ along with the platform tools and infrastructure for others to navigate, populate and build various applications on this new playground. By mixing the digital and the physical, Extended Reality will truly enhance and enrich our lives. What exactly will GoFind XR do? Go Find XR is setting up a decentralized extended reality platform on the blockchain connected to the Earth's geolocation. It uses Augmented reality(AR) to interact with the world in real time through our digital devices. Unlike in digital worlds based on virtual reality (VR), digital content is overlaid on top of the real world in AR, using a smartphone or smart glasses. This allows users to remain connected to the real world and other people around them, while simultaneously experiencing virtual content. The partnership of GoFind XR and Oracle-D has made it possible to build the world's first Decentralized Extended Reality (XR) based on a social media platform powered by Steem & GoFind XR blockchain. It's a blessing that Oracle-D, a company that builds communities through a blockchain network has decided to make a partnership with the Augmented Reality platform. Users will be able to capture and share 360 degrees content on the steem blockchain where they will be rewarded with standard steem rewards and XR tokens. GoFind has its own economy and virtual currency. XR Token is an ERC-20 token which is used on GoFind XR ecosystem. XR Token is used to register land and make transactions on the XR Web. Various applications including social media, games and shopping can be built on this new XR Land. Users can purchase XR land using XR tokens, XR land is a digital space within AR geolocated on earth and can earn revenue for its owner. Holding more than 500 XR tokens will get you rewarded when GoFind XR benefits from the advertisements. This revenue will be shared by the big shareholders, holders can stake their XR tokens from the XR Estate web app. Holders can also trade digital assets (including XR Estate) for trade on fixed price or highest bidder. Unstaked coins can be traded in top crypto exchanges. There is an opportunity to invest in XR tokens through the current Initial Coin Offering(ICO). 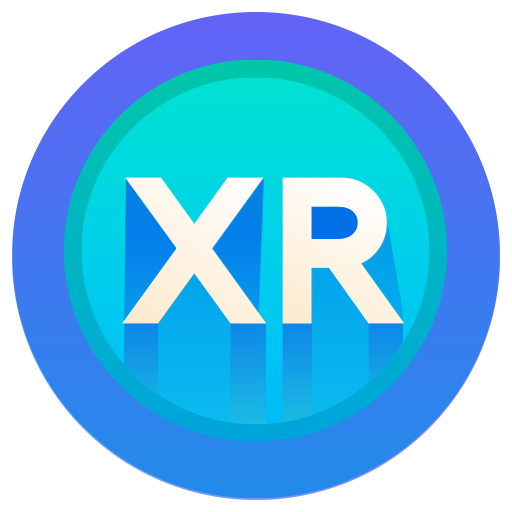 Pre-sale Price of XR token is at $0.10 and the actual ICO Price is $0.15. Accepted coins are ETH, BTC, XRP, LTC and Fiat, Minimum investment is 1 ETH or it's equivalent. Luckily, Steemit users can purchase 10 XR tokens at only 1 STEEM(about $0.5 now), which is a huge offer considering that other users will be paying $1.5 for 10 XR tokens. The tokens will be deposited in your ERC-20 wallet. if you don't have a wallet, you can create one for free here. To know more about GoFind XR project and it's ICO, go here.